Clear communication, consistent policy and student safety are of the utmost importance to all of our staff. We follow the policies outlined below to ensure an enjoyable experience for all. Please see individual school pages for specific policies about a school play program. The following pick-up times are effective for normal after-school rehearsals. You do NOT need to send in a dismissal note for rehearsals. Arts Alive! staff will provide a list of children participating in rehearsals each week for sign-out. Pick up times and locations change during tech week, dress rehearsals, and performances; details for each play will be noted on individual school pages prior to these events. Weather or other last-minute cancellations will be posted on school pages as well. Rehearsals end at 4:30 pm for all students, unless otherwise noted. Rehearsals end at 5:00 pm for all students, unless otherwise noted. Rehearsals end at 4:00 pm for first graders and 4:30 pm for second and third graders, unless otherwise noted. Please note times and be on time to pick up your child. If your child remains in our care 15 minutes beyond the designated pick-up time, you will incur a $10.00 late pick up fee per family for every 10 minutes beyond the one time 15 minute grace period (i.e., 1-10 minutes late, $10.00; 11-20 minutes late, $20.00, etc.). Late fees must be paid in full at the time of pick up. All communications are through email from Arts Alive. Please do not call any of the school offices with questions about plays. It is imperitive that we have the correct email for you and any other caregivers for your child. Also, please ensure that you are able to receive emails from admin@artsalivebarrington.org. Arts Alive! expects students in the school play program to conduct themselves as they would in a normal school day. Arts Alive! upholds the same behavior expectations as the schools in which it operates. Students are to follow the same guidelines for being safe, being respectful and being responsible. You may refer to your school’s web site for more specific information on the behavioral expectations under PBIS (positive behavioral interventions & supports). The play consists of an ensemble cast. Even if you think your child has a small part, they are a significant part of the play. Their absence affects the entire cast. Please do your best to ensure that your child is present for every rehearsal for which they are called. If your child has to miss a rehearsal, please notify us as soon as possible. More than three (3) absences may result in a student’s lines being reassigned to another actor and/or removal from the play. While we are confident that your experience with Arts Alive will be a positive one, we have outlined our refund policy below. 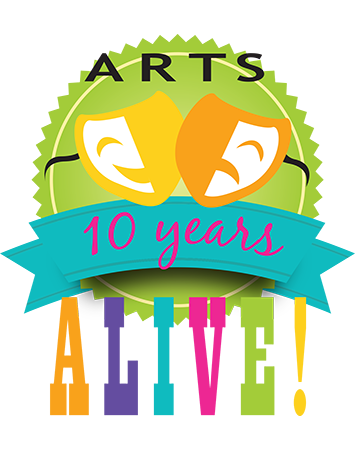 All refund requests must be made in writing and submitted to admin@artsalivebarrington.org. – No refunds will be given once rehearsals have begun. Extenuating circumstances will be considered on a case by case basis. Log Data: We will not collect Log Data from users. Log Data includes information such as the user’s domain, browser, and IP address. We respect the privacy of users and will not collect such information. At Arts Alive! we pride ourselves on challenging your kids, but we also take age appropriateness seriously. That’s why we license “Kids” and “Jr” versions of the plays we produce. Kids and Jr versions of plays are not the same as what you see on Broadway, or what you might remember from the movies. Broadway choreography is too difficult for elementary and middle school students, so the dances are simplified. Likewise, the music is changed to accommodate young voices that cannot yet hit all the notes you hear from seasoned theatre professionals. Kids and Jr plays are also edited with both length and age appropriateness in mind by education and theater professionals. In the same way that children are not yet ready to perform the complex choreography of a typical Broadway play, there are some themes and plot lines that they are not yet ready for either. All of the play selctions are adapted to current times with material appropriate for school aged students, with a “G” rating. We are very grateful that you trust your kids with us as they learn, develop, and hopefully build a life-long love of the performing arts.